Chlorella and spirulina are fresh water algae. According to Beth M. Ley Ph.D., author of “Chlorella: The Ultimate Green Food,” chlorella is one of the oldest living organisms on the planet. It is a single-celled, rapidly-growing green algae whose chlorophyll content makes it one of the richest sources of complete protein. Other vital nutrients include essential fatty acids, carbohydrates, minerals, vitamins, antioxidants and fiber. 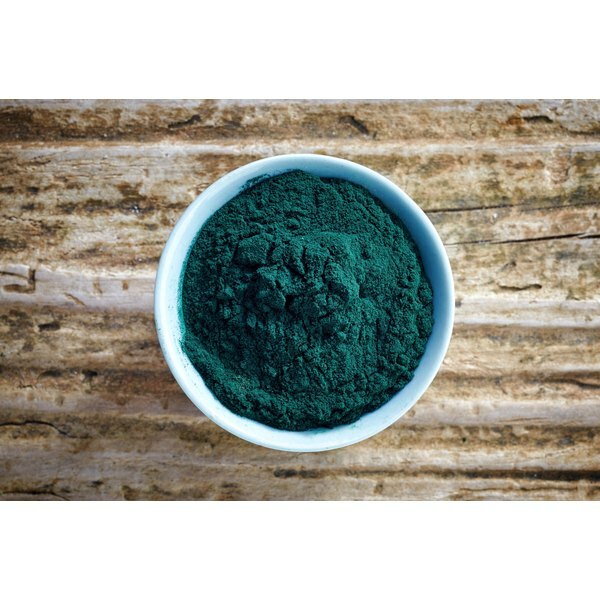 Spirulina, a blue-green algae, has a similar micronutrient profile, according to research published in the 2008 issue of "Nutrition Research and Practice." Both chlorella and spirulina have been studied for the benefits they provide to diabetic patients. A study in the 2009 "Nutrition Research and Practice" demonstrates that chlorella-fed diabetic rats tend to have lower levels of fasting glucose than diabetic rats without chlorella. HOMA-IR, which is a scoring of insulin resistance tended to be lower in chlorella-fed rats. Although spirulina, in the 2008 study, did not prove to lower fasting blood sugar, it did show promising lipid-lowering effects, as well as enhancing immune capacity and reducing oxidative stress, all of which were considered by the researchers to be contributing factors for diabetes. A study in the 2009 issue of the "Journal of Zhejiang University" defines cancer as being caused by an imbalance in the mechanisms that control the rate of tumor growth and that of pre-programmed cell death. Pre-programmed cell death, otherwise known as apoptosis, is a mechanism of immunity that protects other cells from the damaging effects of cells that have gone awry-like cancer cells. A good cancer-preventive agent, explains the article, is something that can naturally up regulate immune-stimulated apoptosis, without too much in the way of side effects. Chlorella was shown in this study to induce apoptosis in liver cancer-induced mice. Liver cancer, as a primary cancer, is believed to be caused by many factors including chronic hepatitis B and C infections, liver cirrhosis, and chronic alcohol consumption. However, many other cancers metastasize to the liver, causing it to be third most common cause for cancer-related death worldwide. High levels of cholesterol, triglycerides, and other lipid in addition to a chronically increased blood pressure sets the stage for the development of atherosclerosis, the plaque implicated in the development of heart attacks and strokes. Both chlorella and spirulina are beneficial in lowering serum levels of lipids. In the preliminary report of the research, published in the 2007 "Lipids in Health and Disease," spirulina was not only found to lower triglycerides and bad cholesterol, but additionally reduce both systolic and diastolic blood pressures in both males and females. Fibromyalgia is a disorder characterized by widespread body aches. The origin or caused of the disease is still unknown, but it is definitely diagnosed by the presence of pain in at least 11 of 18 tender points. Fatigue, sleep disturbances, altered sensations, and headaches can accompany the chronic muscle pain, notes a 2000, "Phytotherapy Research." Due to its high nutrient content, chlorella has been investigated both in pilot and double-blind placebo controlled, crossover studies. Conclusions from a 34-subject trial of fibromyalgia patients, published in a 2001 issue of the "Journal of Musculoskeletal Pain," determined that chlorella supplementation at a dose of 50 tablets of Sun Chlorella and 100 milliliter of Wakasa Chlorella Gold, steadily and significantly improved symptoms of fibromyalgia syndrome. Chlorella: The Ultimate Green Food; Beth M. Ley, Ph.D.